Meditation. Gesture Namaste - Yoga, praying. 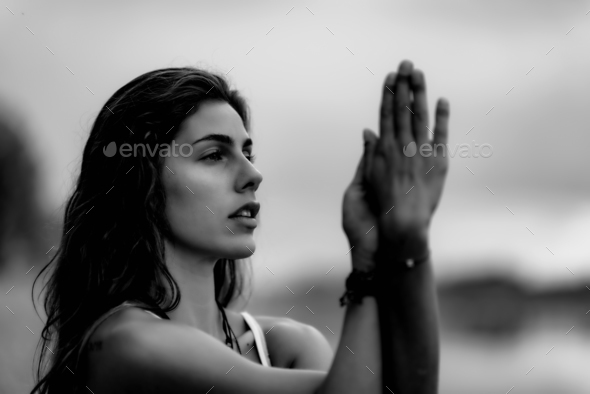 Young woman meditating. Sitting in lotus pose with hands in prayer position.